These children pose for mom with the tiger in the background. 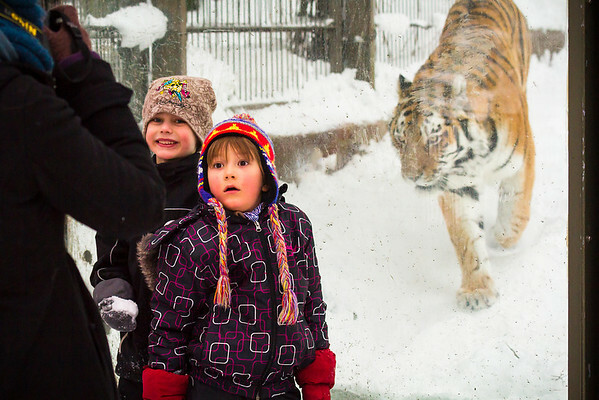 One with a big smile and a snowball, the other with the realization that the tiger is starring at them very intently. Taken at the Helsinki Zoo.